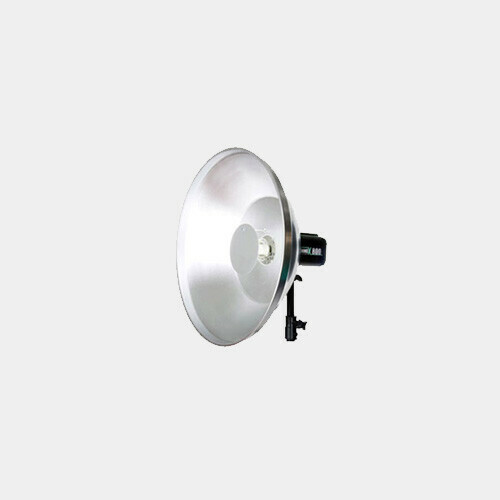 This reflector is designed to project a narrow 45° beam angle, with about six times the efficiency of a white dish. 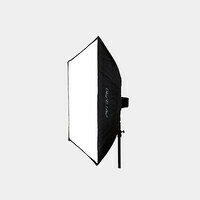 This allows for lighting subjects from greater distances with low power flash units, and allows using the reflector with or without the included direct-light blocker. 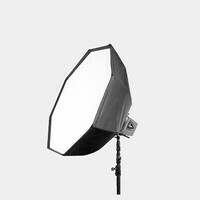 Attaching the included diffusion sock converts the reflector into the equivalent of a round softbox with very even coverage. 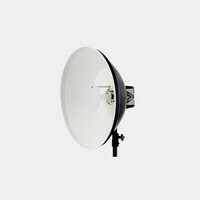 This widens the angle of coverage to about 150° and lowers the output by about 1 1/2 f-stops.